Peter Jones (white helmet) prepares the winning team to go underground! The Runswick Bay Rescue Boat charity has said a big thank you to ICL Boulby for a donation to their charity auction. 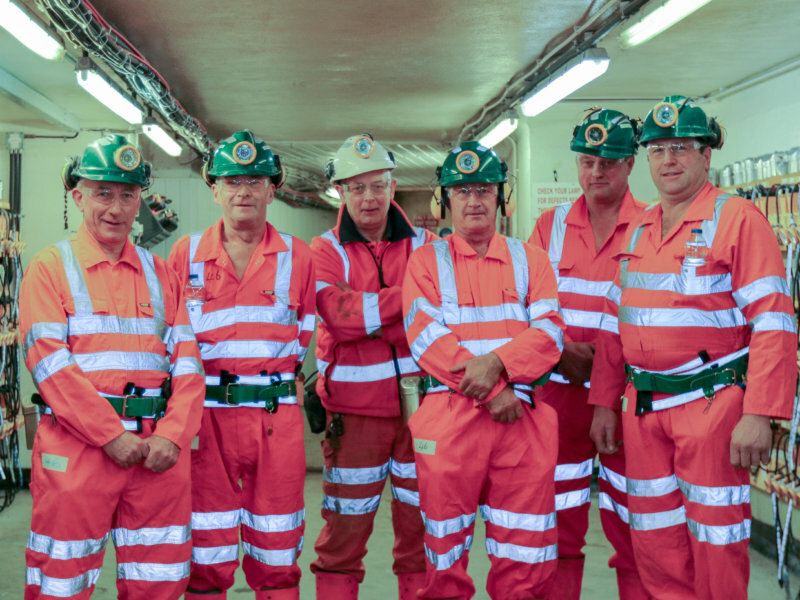 A trip down the second deepest mine in Europe at Boulby proved a popular auction lot during the annual fundraising weekend. When the bidding was over almost £300 had been raised for the independent charity that works in close cooperation with the RNLI and HM Coastguard.